"Around 12 noon a car bomb exploded at the entrance of New Kabul Bank," Salam Afghan, police spokesman in the city, told AFP. A car bomb that struck a bank in southern Afghanistan Thursday left at least 20 people dead and 50 wounded, a government spokesman said. "The blast killed 20 people and left 50 others wounded, both civilians and military officials," Omar Zwak said, warning that the toll could rise. 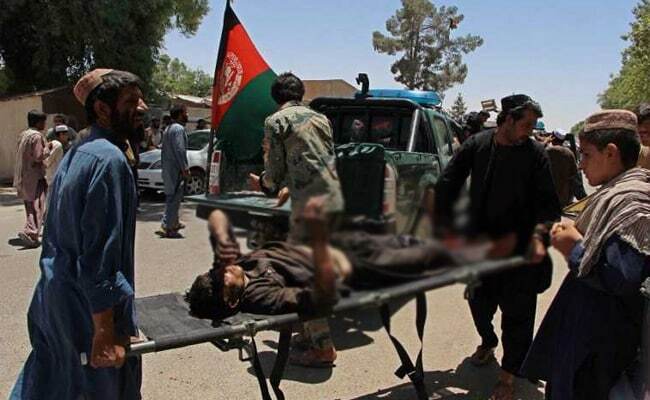 No group has claimed responsibility for the latest in a series of brazen attacks during the holy fasting month of Ramzan, but it comes as the Taliban ramp up their annual spring offensive. The insurgents control large swathes of Helmand province, of which Lashkar Gah is the capital. "It happened at a time when civilians and officials had lined up outside the bank to collect their salaries." Washington is soon expected to announce an increase in the US military deployment to bolster Afghan forces, who are struggling to contain the Taliban insurgency. American military commanders in Afghanistan have requested thousands of extra boots on the ground.